Send and Receieve Bulk SMS From SharePoint ! 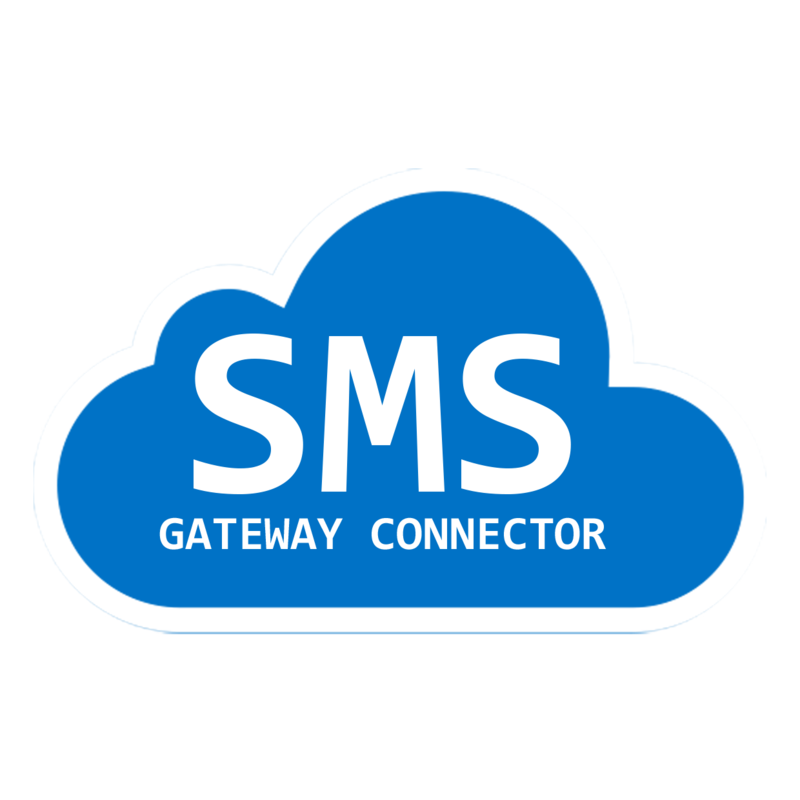 Easy & Secure SMS Gateway Configurations ! Securely Store and Configure your TWILIO / PLIVO / TEXTLOCAL(IN) Gateway Configurations. Easy Configurations, Configure upto 10 configurations. 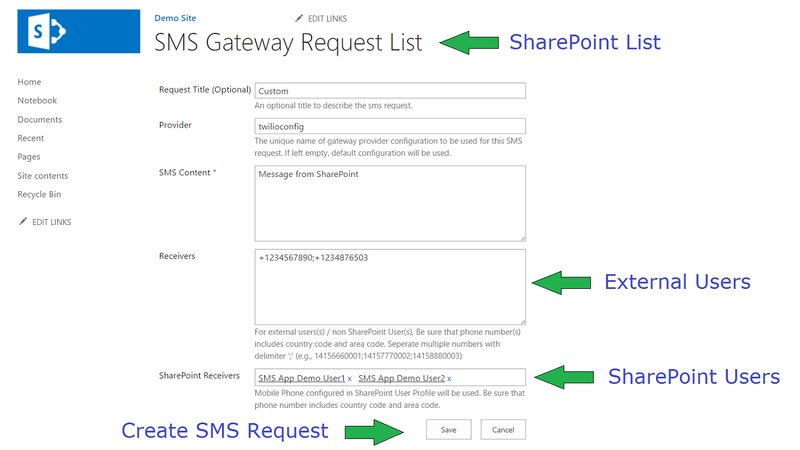 Send a SMS just by creating a list item entry in your SharePoint site. Upto 30 recipients per request. 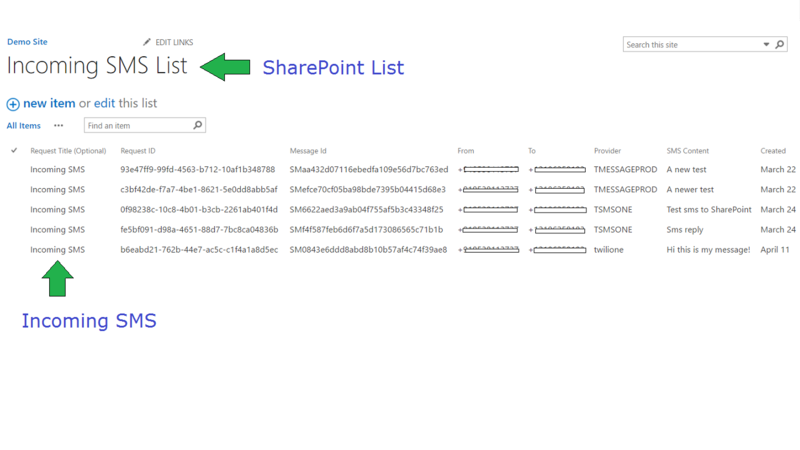 Receive incoming SMS as a list item entry in your SharePoint site. 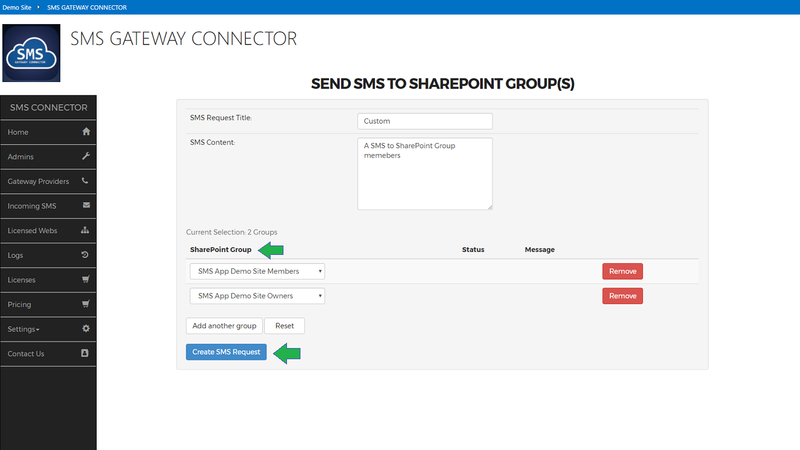 Send a SMS to users of single / multiple SharePoint Groups. Send and Receive SMS to/from non SharePoint users. Make use of SharePoint People Picker to select you message recipients. Integrate sms messages in your workflows by making use of SharePoint default “Create a list item” action in SharePoint Workflows. Use SharePoint permission on your site / list to restrict / permit access. Your Mobile number configured on SharePoint User Profile is used. Have a Feature Request / Question ? At Time Parity, your data security is of first and foremost priority to us. In line with this motto, we have employed Industry standard encryption algorithms with Multi-tier encryption to store your gateway credentials in our data centers securely. Each configuration is stored seperately using AES encrytption (one of the strongest block ciphers available). Each configuration is secured in transit between our application and storage by ofcourse using HTTPS/TLS but also using AES, specifically Cipher Block Chaining (CBC) mode with AES. Each time a gateway configuration is added / deleted a mail notification is sent to all admins. The cryprographic keys used for encryption are in themselves stored securely in Azure Key Vault for extra level of security, and usage audits. Have your own requirements ? No worries , we can help you. We will extend the SMS service application to meet your specific requirements. 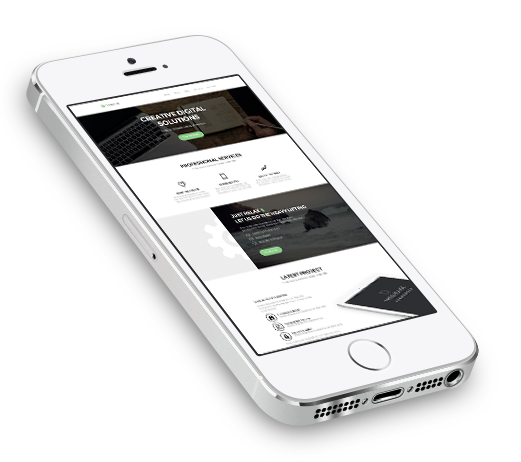 Host the SMS Service Application on your own Servers, also store your data in your own data centres. 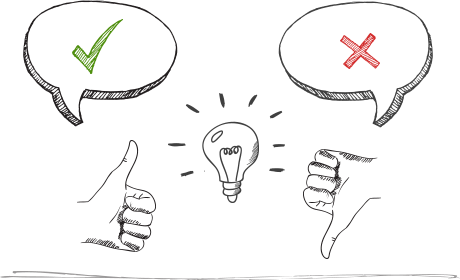 Get the entire solution with an one time purchase, neatly packaged, no additional / recurring costs. Use Plivo / Twilio / Textlocal.In configurations . Installation and Configuration support , also get one year maintanence support free. Install the Add-in from SharePoint Store Now! Install now and get 64.99 credits free for you to test the functionalites. Pay only for what you use using credits (1 credit = 1 USD) !